I don’t care WHAT fitness freak you know… I don’t care HOW food-conscious they are… and I don’t care how food police-ish they may be. Everyone – everyone – gives themselves a free pass (or three) when it comes to Thanksgiving. I mean, c’mon – if this is the only time of year you can convince Grandma to make her amazing sweet potato pie, how dare you deny yourself the pleasure of her hard work? 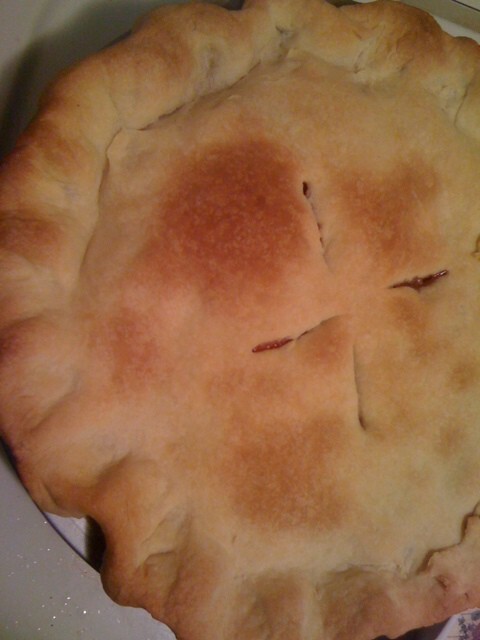 Enter… the ultimate apple-cranberry pie. 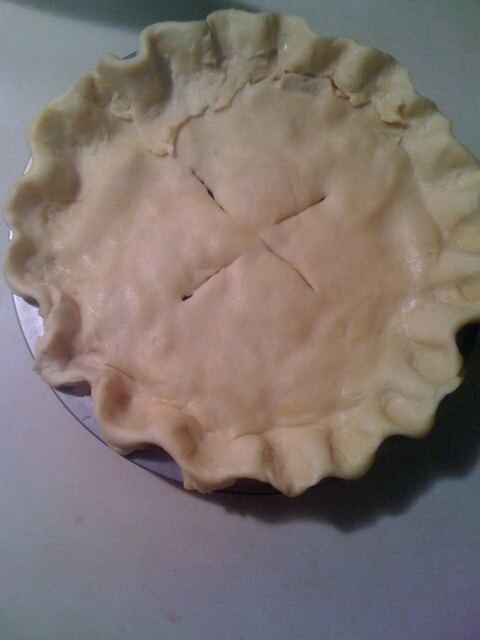 I only bake this pie once a year. Once. A. Year. (You’ll see why in a moment.) I love it, though – it’s warm, cozy, and has a tinge of tangy-sweet thanks to the addition of dried cranberries. It still keeps fitness in mind because there’s limited sugar in it (no more than 3/8ths of a cup in the entire recipe… including the pie dough), and the taste is awesome. I get myself a respectably sized slice and I enjoy it, guilt-free. Why? Because I balance myself.. I put my heart, soul and feet (just kidding… or am I?) into this pie. Hope you love it as much as we do! 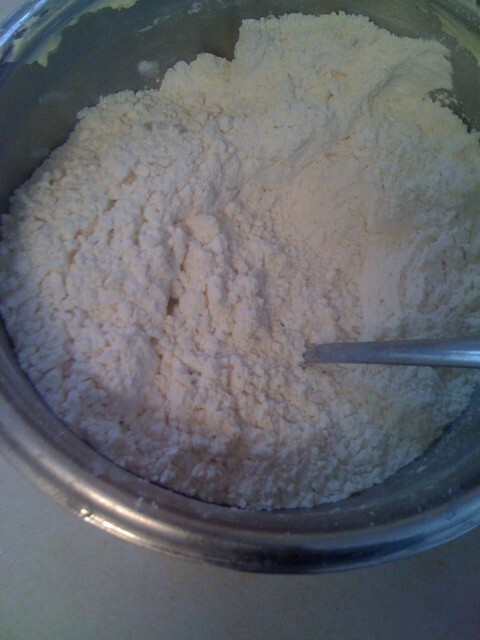 Take half of your flour, all of your salt and sugar, and blend it together using either a fork or a food processor. 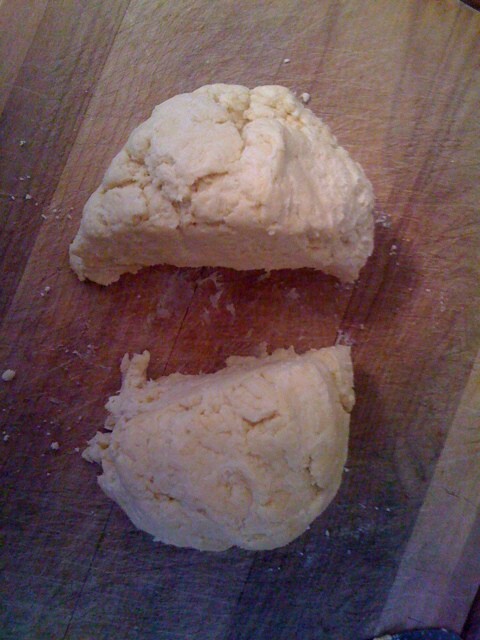 Add all of your butter and begin to blend your dough together until you’ve got big clumps. 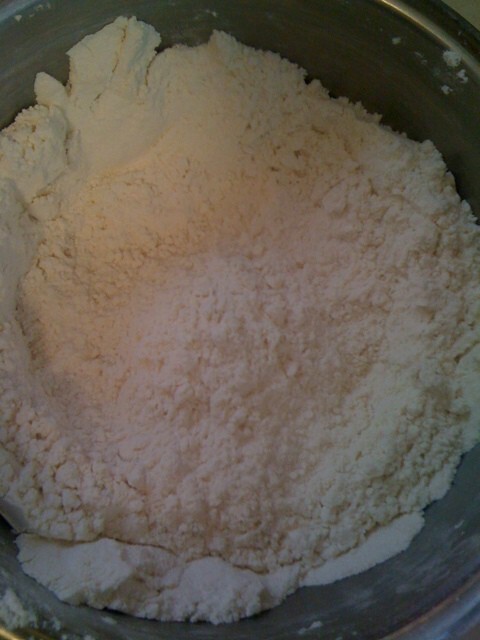 Drop in the rest of your flour, and get to work blending. 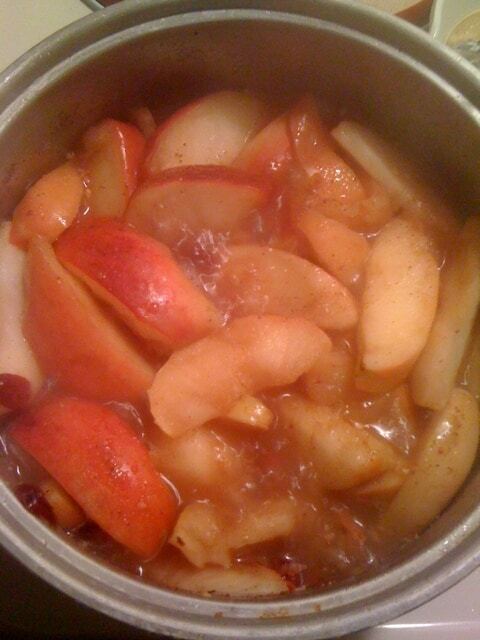 From here, you’ll add in your vodka (or vinegar) and water to the recipe. Sprinkle it all just a little bit at a time, stirring faintly in between pours. You don’t want to overwork the dough, but you want it blended properly, too. Why, on Earth, would you use vodka or vinegar in a pie dough? 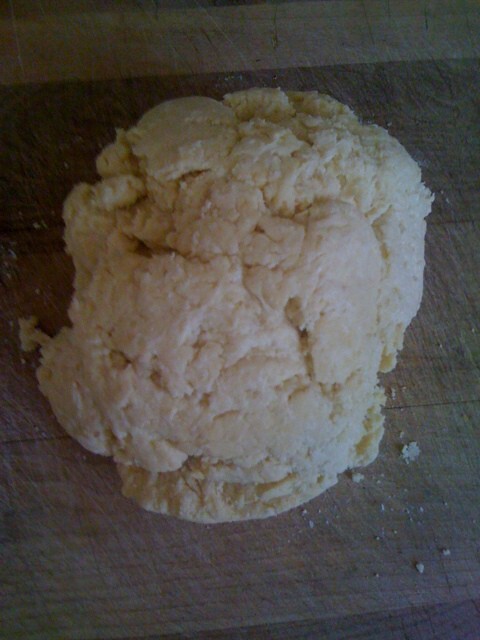 If you add too much water, it causes the dough to be tougher than desired… and no one wants that. 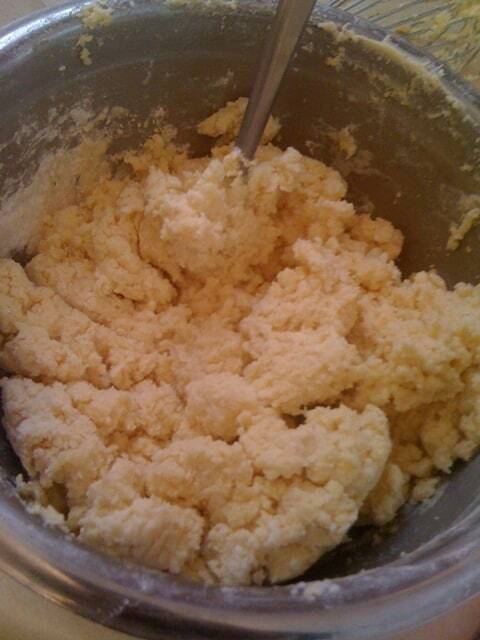 Adding vodka to the recipe allows you to add liquid for blending without causing the dough to toughen up. All of the alcohol dissipates in the oven, and it takes the flavor with it. I might love my liquor, but I wouldn’t ruin a good pie with it. Just sayin’. 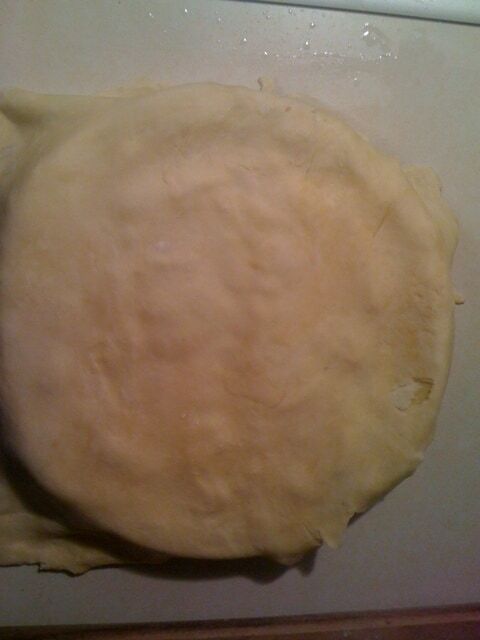 Keep blending your dough and begin to ball it up into a giant ball. You want to make sure that even the little crumbs at the bottom of the bowl are stuck to the giant mold in the middle, too. You should be able to dump it all out in one clean drop. 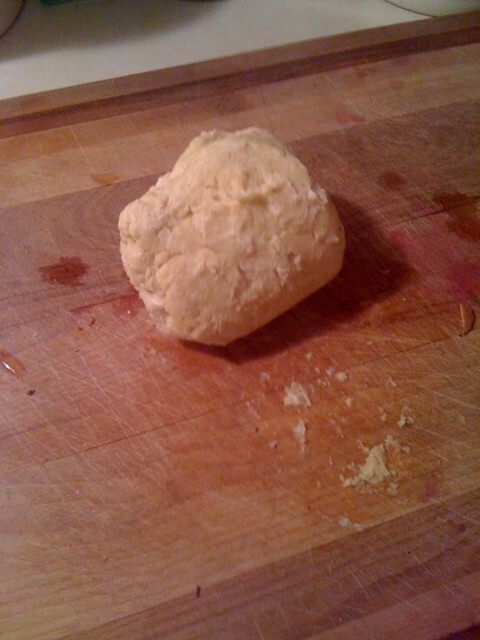 Mold your dough into one giant ball. …and dice it into two pieces. One fine chop should do it. Right down the middle. Stick ’em in different containers, and put ’em in the ‘fridge for about an hour. 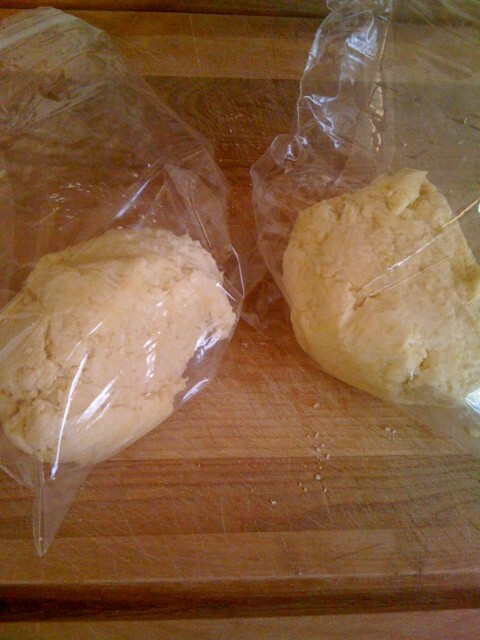 Once chilled, grab one of your dough balls and get ready for some heavy rolling. 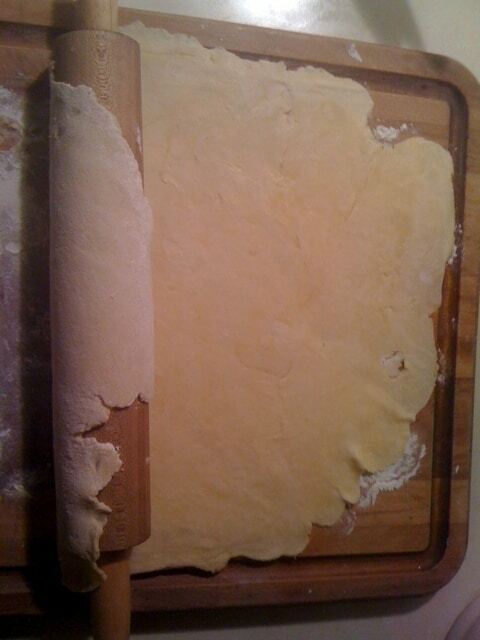 You’ll want to sprinkle flour on your rolling surface to help ensure that your rolled-out dough doesn’t stick. 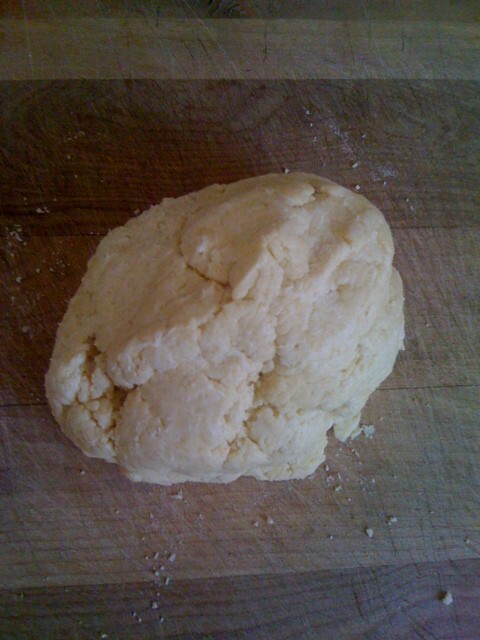 Whip out your rolling pin, and roll this dough out to within an inch of its life. Bonus points if you turn it into an exercise while you do it. 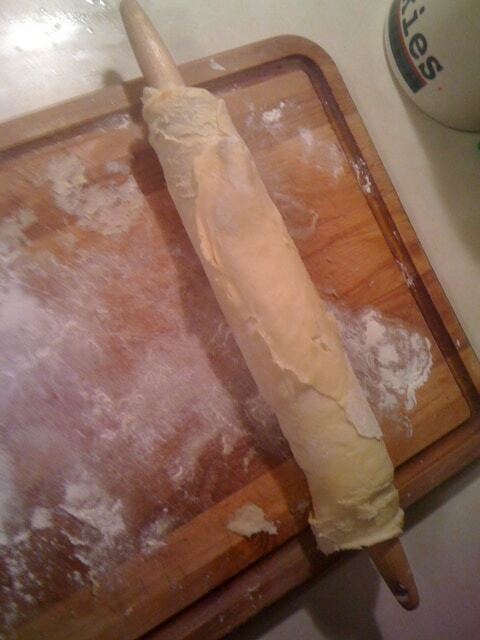 From here, you’ll take your rolling pin and use it to wrap your dough around it. 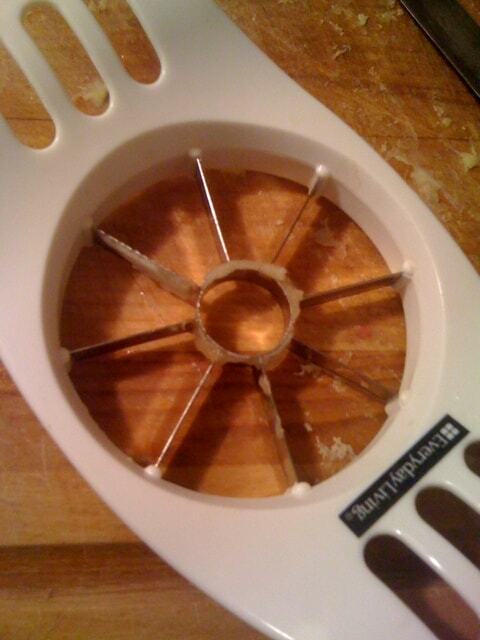 This will help you with rolling your dough over your pie pan. Thanks to the flour that you used on the bottom of your counter, you shouldn’t worry about it sticking too much. Go ahead and lay the dough in your pan. 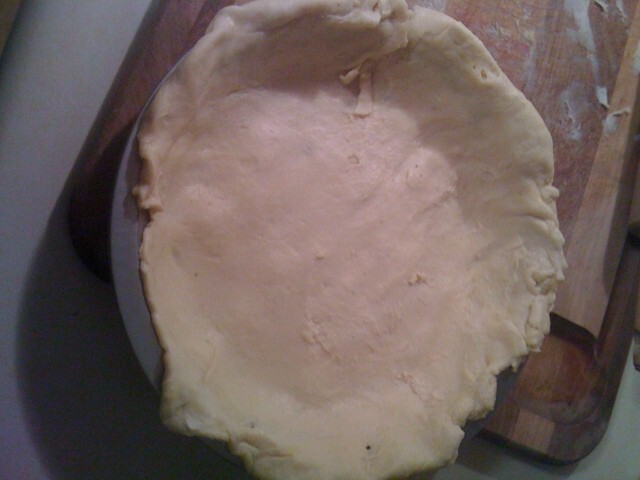 Doing it this way, for me, prevents the dough from breaking or developing those giant gaping holes when it’s hanging in mid-air… as you have to fling it across the counter and land it on your pie pan. It’s just easier (for me) this way. Now, that usually looks much better than that, but we’ll touch it up later. 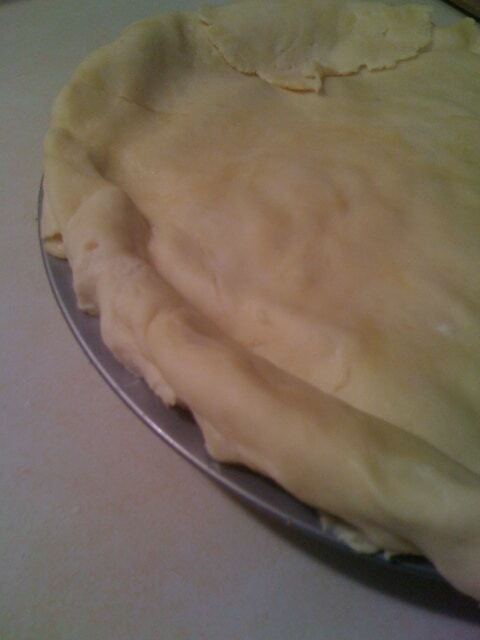 Time to make the filling! They’re at the dollar store. $1. Surely, you didn’t forget how cheap I am. Take your pot, and put your lemon juice and water inside. Put it on moderate heat, maybe a 7 on a scale of 10. 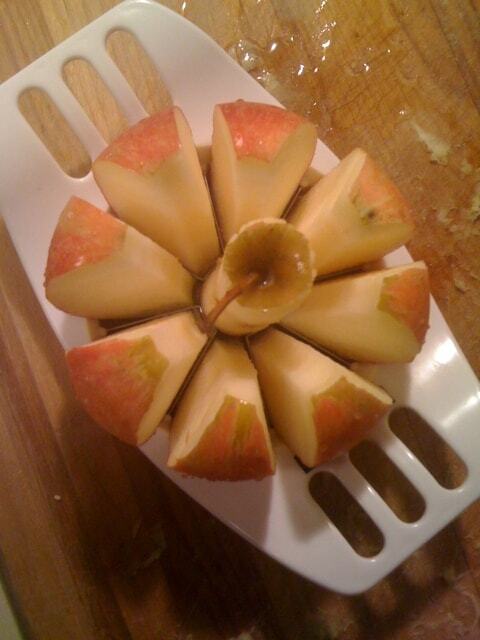 Chop up your apples. Chop ’em uuuuup. Chop ’em good. Toss them all into the pot, and then top it off with the rest of your filling ingredients. You’re looking for a nice, slightly gooey consistency. Shouldn’t take longer than 15 minutes of consistent stirring and mixing. 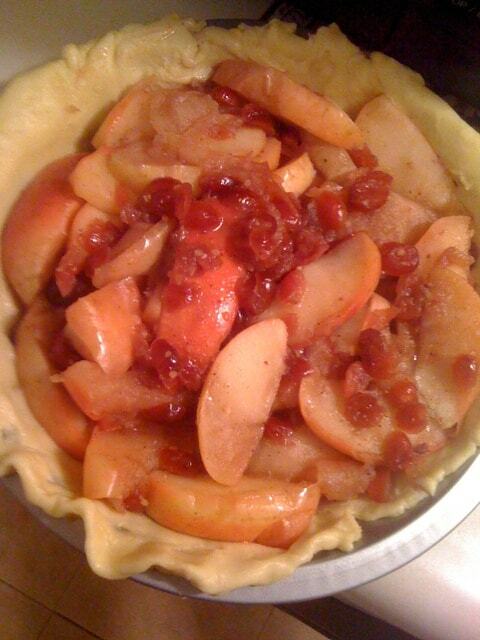 Grab your pie pan, and put your filling inside. 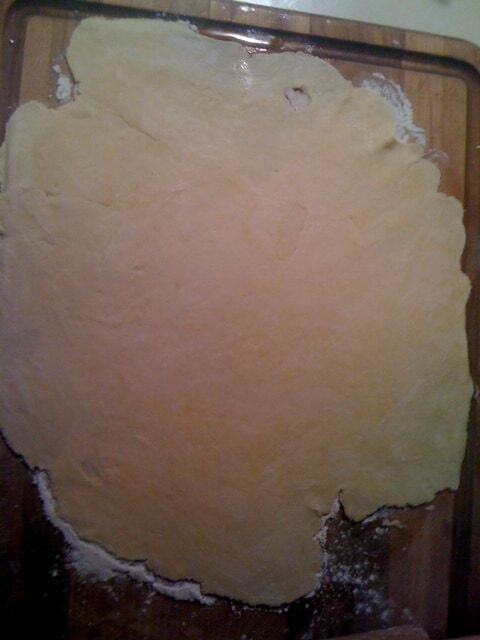 Remember what we did to the first half of the pie dough? Repeat the process. 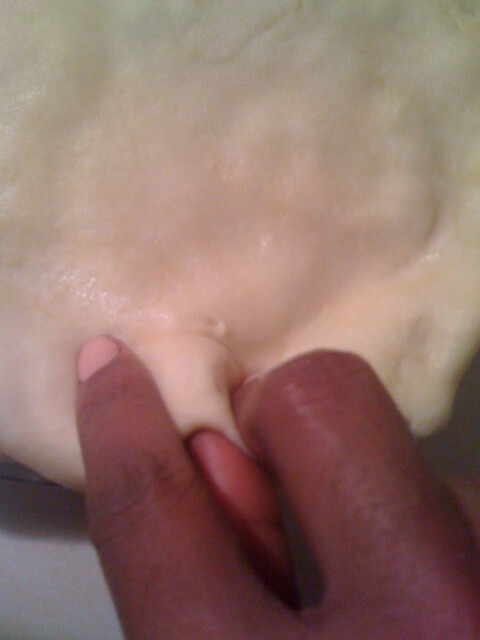 Grab your roller, roll the dough around the pin, and use that to cover your pie. It should be a relatively painless process. If you have a hole, just patch it up a little bit. 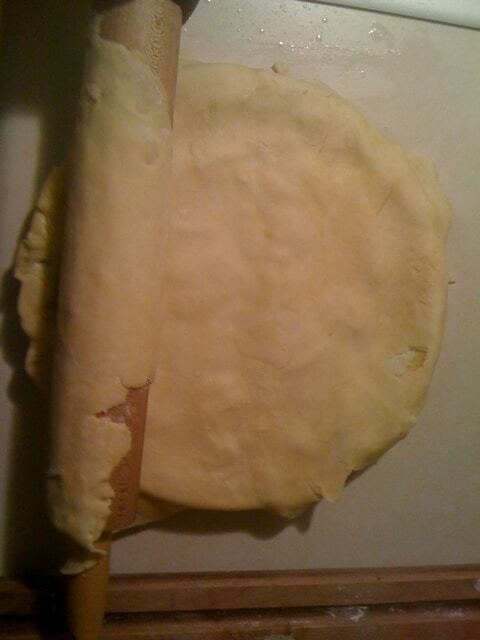 Go ahead and roll the dough up so that it forms a light little ring underneath the edges of your pie. This is what you’ll be treating. It also keeps your filling in and cuts the spillage. You can also see where I [lazily] patched up a hole and added some hang-off to the ends. From here, you can either take a fork to the edge so that you can have that nice, even look… or you can use your fingers to add that big wavy look to the edge. I, of course, chose to put my fingers to good use! Grab a knife and place four slits in the top in however a creative fashion you desire. Slide that bad boy in the oven (closer to the middle of the oven space) at 350 degrees F, for approximately 25 minutes. 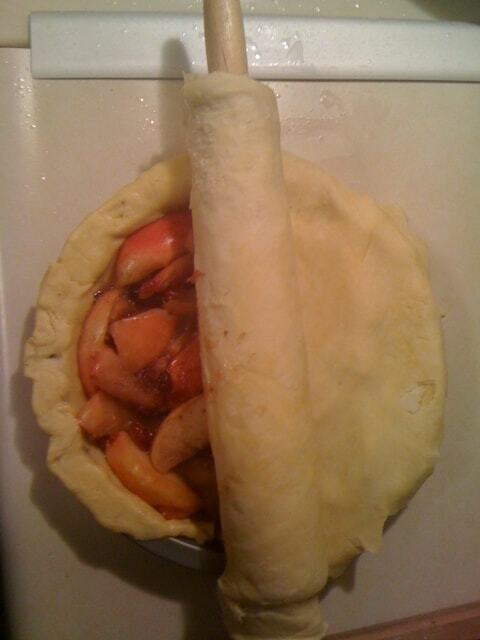 Be sure to check on it every five minutes, making sure it’s not burning the top of the pie. Check out my crust – flaky, crisp, makes you want to bite the website, right? Every time I tried to cut a slice out to take a picture of it, I’d turn around to grab my phone to snap the picture and the slice would be gone. 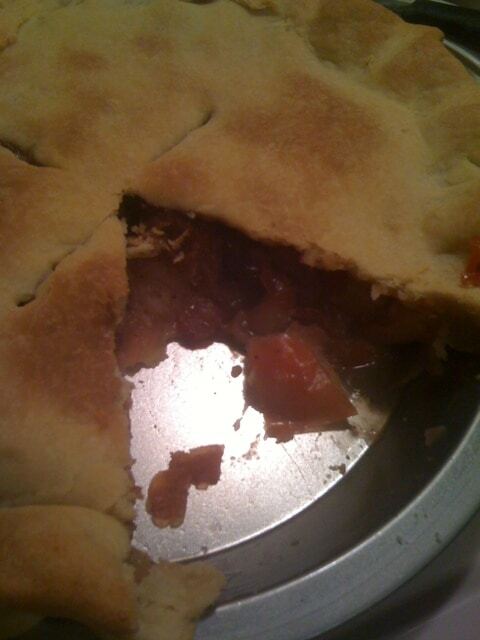 I figured I’d just take a picture of the pie itself after two tries. Q&A Wednesday: Fitness And Clean Eating When You’re Feeling Sick? The fact that this recipe had the word “ultimate” in the title, made me check it out, lol! Looks delish! I’m gonna try baking this tonight! I have to try this someday. I just found your site today, and you’d better believe it is a favorite! I love this recipe and will definitely be trying it before Thanksgiving as a test run. I saw your story about blogging to lose weight. I think I am in love…with the site that is LOL! Much success on your continued journey! I don’t know that I’d personally recommend that for THIS pie dough because almond meal handles very differently and has a hard time sticking. 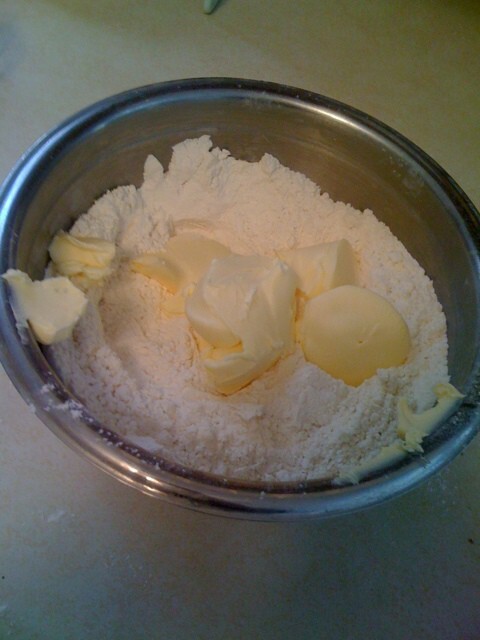 You’d need to add other things that’d alter THIS particular pie dough recipe’s taste, though I don’t doubt there are pie dough recipes that use ground almonds or black beans or any other flour/meal variant.